Here's a statement that's indisputable: Jimi Hendrix moved rapidly. It's true if one is talking about his development as an artist, his mercurial guitar playing, the way he lived his life, or his cross-pollination of musical styles. He just didn't stay in one place for very long. Prior to his untimely death, Hendrix had completed only four albums — Are You Experienced?, Axis: Bold as Love, Electric Ladyland, and Band of Gypsies. Yet the fact of the matter is that for more than thirty years, each of these has stood the test of time and has been cited as an influence by countless emerging artists. His legend has only grown stronger since the re-release (and pristine re-mastering) of these works of art several years ago, and the seemingly endless stream of new releases from the Hendrix family archives has further served to keep the memory of the storied guitarist very much alive. Perhaps the best example of how quickly Hendrix shifted gears is demonstrated on the two recent releases Live at Woodstock and Live at the Fillmore East. The Woodstock set was, of course, recorded in August 1969. The Jimi Hendrix Experience had disbanded just a few weeks earlier, and his new group had yet to gel. Making matters more difficult, the short-lived, six-piece band took the stage at the rain-soaked festival not on Sunday night as originally planned but on Monday morning amid a field of mud and scattered debris. 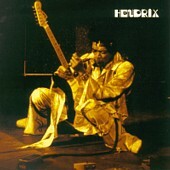 Consequently, the Live at Woodstock release shows Hendrix and his entourage as a rag-tag, weary group, whose music was more than just a little rough around the edges. Message to Love moved along its jet-propulsion riffs threatening to hurtle off the beaten path, but never quite spiraling out of control. Likewise, older selections like Fire and Foxey Lady were tossed off with an air of boredom. Keep in mind, however, we're talking about Jimi Hendrix, and even at his worst, he was better than most. Beneath it all, there is still an undeniable amount of raw power and energy wielded with the usual dose of pure Hendrix magic. Blues tunes like Red House and Hear My Train A Comin' glistened with the earthen glow of sunrise, containing a particularly fresh feel as Hendrix returned to his roots. The former baked in a slow groove and was filled with mind-numbing, spirit-channeling guitar for the soul, while the latter chugged along with raging momentum as the rhythm section locked tightly in step. Hendrix's guitar sliced through the fray, twisting and turning with wild abandon, unleashing an overpowering burst of sheer primal force. This was also true of Voodoo Child (Slight Return), which was brutally thrashed into an epic, 14-minute extravaganza. In addition on Jam Back at the House, Hendrix gave a little bit of a hint as to the direction in which he was about to head. This song — an early, incomplete composition that later became Beginnings — boiled in its breakneck fusion of rock, jazz, and blues. Of course, there's also the gifted guitarist's incendiary reading of the Star Spangled Banner that became the anthem that marked the end of the '60s by brilliantly capturing the political mayhem tearing apart the country from Vietnam to civil rights. By the end of 1969, Hendrix again had pared his band down to a trio, featuring bassist Billy Cox and drummer Buddy Miles. His group, now dubbed Band of Gypsies, was a tightly-knit outfit, capable of pulling off the fusion of rock, jazz, and blues that Hendrix had begun exploring a few months earlier. Live at the Fillmore East — which was recorded over the course of four concerts on New Year's Eve and New Year's Day at the storied New York City venue — captures the band in all its glory. Containing only six tracks, the 1970 release Band of Gypsies offered only a glimpse into these historic performances. Never mind the repetition in song titles between the two collections, Hendrix treated each song as its own standalone piece, and as such the various takes are different enough to keep things interesting. 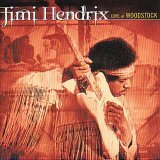 In comparison to the Woodstock set, Hendrix was much more relaxed at the Fillmore, and consequently the music on the new, two-disc collection springs forth without hesitation. There are no boundaries — just the open space created by the components of the groove. Cox and Miles made quite a formidable foundation that was no less solid than the Experience, but allowed Hendrix to move in new directions with athletic dynamism. The rhythmic duo pushed the songs along at a fevered pitch while allowing plenty of room for the gypsy child to make his guitar wail. Stone Free was consumed in fiery, mind-altering passion, and Machine Gun (represented twice on the new set) drifted along its funereal march past tormented apparitions. Hendrix never made it through the year he had just ushered in, but what he left behind was a monumental legacy. His countless archive of recordings has been lovingly organized by his family and subsequently released to the public. Each has been given a spit-shine polish, complete with lengthy, in-depth background information. In other words, Hendrix's music finally has received the attention it always has deserved. Whether it's the re-release of Are You Experienced? or the more complete versions of his Woodstock and Fillmore East sets, this is the music as it was meant to be heard — exhibiting all of the raw emotion and showcasing all of the pain, passion, yearning, searching, screaming, and crying Hendrix typically channeled into his performances.